Queenstown has a rich collection of open spaces, heritage buildings, contemporary architecture, active frontages, public artwork and more importantly people. In addition, there is a wide variety of tourism and urban activities which bring energy and life, but when all of these elements are combined together they can make the town chaotic. The purpose of these design guidelines is to provide design direction to the suite of public realm upgrades proposed as part of the Queenstown Town Centre Spatial Framework and the Queenstown Town Centre Masterplan (2017). 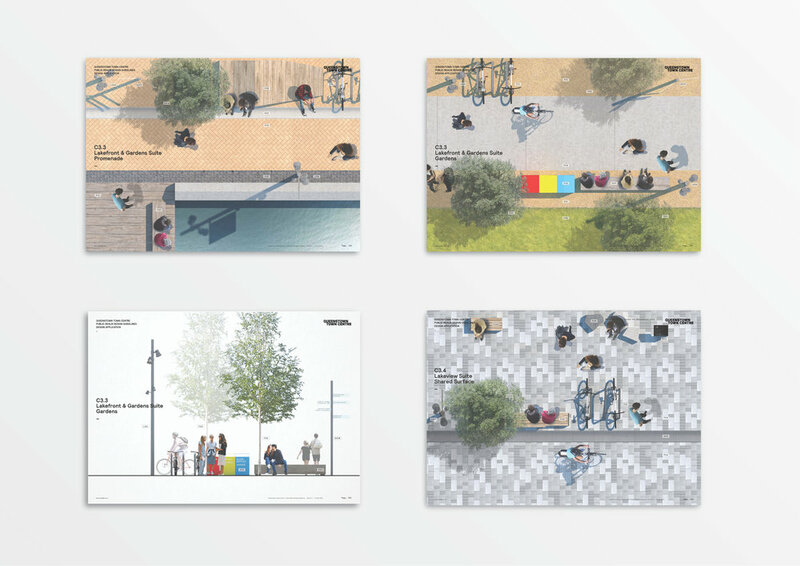 A_ Identifies and consolidates a cohesive look and feel for Queenstown’s Town Centre public realm and streetscapes. 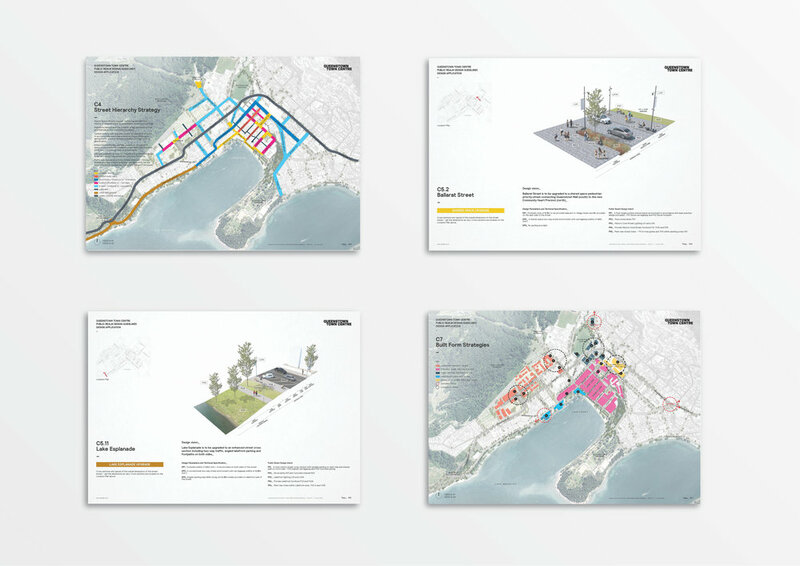 B_ Simplifies the process of design, briefing, procurement and delivery for future projects. C_ Provides opportunities for efficiencies and economies of scale for the supply of materials and design elements. Guidance is provided at the town centre, precinct and site specific basis on a limited palette of public realm materials, urban elements and street furniture which supports and amplifies the town’s character. When these palettes are applied consistently the elements act as a restrained and cohesive background allowing the genuine and distinctive features of the town and its people, to take centre stage. The palettes emphasise the quality of the design, materials, detailing and construction techniques and cater for the needs of all users in a safe and comfortable manner that enables social interaction to flourish. 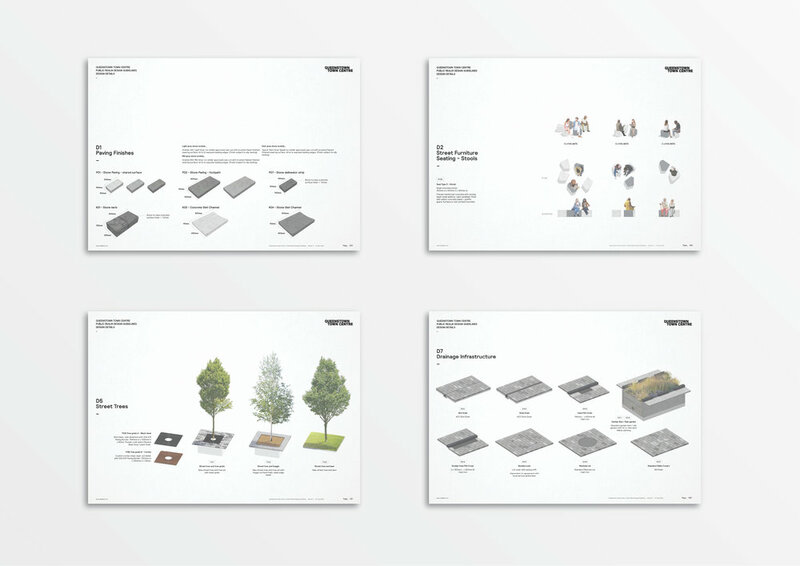 The palettes also act as a kit of parts, making it easier for people working in the public realm, such as designers, asset managers and maintenance staff, to focus their attention on applying the fundamentals of good urban design to projects. The choice of materials and furniture reflects the anticipated demands and levels of use and will ensure long term, sustainable solutions can be implemented.